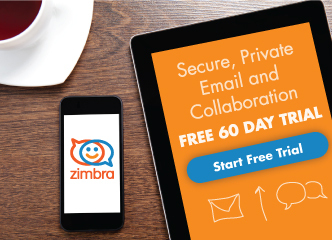 Zimbra 8.8.10 “Konrad Zuse” Patch 1 and 8.8.9 “Curie” Patch 6 are here. For 8.8.8 and above Zimbra Patches, you don’t need to download any patch builds. The Patch packages can be installed using Linux package management commands. Patch 1 is here for the Zimbra 8.8.10 “Konrad Zuse” GA release, and it includes fixes as listed in the release notes. Information about security fixes, security response policy and vulnerability rating classification is listed below. See the Zimbra Security Response Policy and the Zimbra Vulnerability Rating Classification information for details. Note: Installing the zimbra-patch package only updates the Zimbra core packages. Please refer to the release notes for Zimbra 8.8.10 Patch 1 installation on Redhat and Ubuntu platforms. Patch 6 is here for the Zimbra 8.8.9 “Curie” GA release, and it includes fixes as listed in the release notes. Note: Installing zimbra-patch package only updates the Zimbra core packages. Please refer to the release notes for Zimbra 8.8.9 Patch 6 installation on Redhat and Ubuntu platforms. Please clarify what “Fixed issue “Email body getting vanished after replying to email” means. Zimbra must link bugzilla entries on these kind of statements. Is this the Microsoft Edge browser bug that removes the entire body of the email message unless the Return key is pressed first? This has been a long a horrible bug so if that is the fix it will be great news. Please apply this patch to back versions as well going to 8.7.X if that is indeed the repair. Hi John – If you click to the release notes, they should like to the bugzilla entry. Let me know if you haven’t received answers for your other questions, and I’ll do my best to help out. Thanks! They do not link the Fixed Issues to bugzilla tickets. There is no clarity on what exactly is fixed. Ridiculous title “Email body getting vanished after replying to email”. Zimbra, please make an effort and link the bugzilla issue. What about fixing the chat issue? It is pretty major.